This eighth of twelve portraits in 2017, honoring alumni from thirty years of Roth Endowment programs, features a recent award winner. Ethelene Whitmire won our support for research she conducted in Denmark in 2015-16. She is a professor at the University of Wisconsin–Madison who focuses on American studies and African American women’s history. Here she recounts how she got interested in the project that took her to Denmark for a book on the experience of the important African American expatriate community there. I became interested in my new book project, Searching for Utopia: African Americans in 20th Century Denmark, in a very unusual way. I first went to Denmark on a whim in May and June 2010. 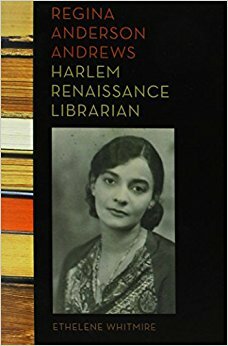 I was on the first sabbatical leave from my job as a university professor and was finishing my first book, Regina Anderson Andrews, Harlem Renaissance Librarian (2014). I wanted to go on a writing retreat in another country—and selected Denmark because I was watching a lot of Danish films at the time. I didn’t know anyone there. So I rented an apartment in the Christianshavn section of Copenhagen, met a ton of people… and I loved it! Since then, I have returned to Copenhagen twelve times, including every summer. While renting an apartment in the Nørrebro neighborhood in the summer of 2013, I would take a shortcut through the Assistens Kirkegaard cemetery, where Hans Christian Andersen is buried. On the way back home one day, I encountered the grave of Ben Webster. I was curious about why a clearly non-Danish person was buried there. When I looked him up on the internet I was surprised to discover that he was a famous African American jazz musician and that there were several African American jazz musicians buried all over the city. During and between subsequent visits, I started gathering other information about African Americans who visited, lived, studied and performed in Denmark. I was intrigued and wanted to know more. Two research questions guided me: Why did African Americans go to Denmark? And what were their experiences while there? Many have written books about African Americans in France, mainly in Paris; but the experience of African Americans in Denmark remains unexplored. So, about three years ago, I decided I would write a book on the subject. In 2015, I received grants from the American Scandinavian Foundation, which allowed me to conduct research and follow in the footsteps of the African Americans all over Denmark. I went to Kerteminde to see where painter William H. Johnson lived and worked. I caught the train to Helsingør to visit the archives at the International People’s College, where many African Americans went in the 1930s to study the Danish folk school and cooperative movements. I searched through the archives of expatriates at the Royal Danish Library and in the Danish National Archives. This research represents a very new direction for me—one I feel very passionate about. Formerly, I was an administrator in higher education working at Rutgers University in New Jersey, during which time I earned a master’s degree in Library Service. I left Rutgers to pursue a PhD in Higher Education at the University of Michigan, after which I became a professor in the field of Library and Information Studies at the University of Wisconsin–Madison. While conducting an ethnographic study of African Americans in public libraries in Los Angeles, supported by a Ford Foundation fellowship, I came across an article about African American librarians in New York City during the Harlem Renaissance. Fascinated, I then researched and wrote a book on the librarian Regina Anderson Andrew. This introduced me to the field of African American history and my interest in archival research and recovery work—uncovering the stories of people lost to history. One of the things that interested me in Andrews’ life—aside from her being an actress and playwright during the Harlem Renaissance—was that, as a representative of a civic organization called the National Council of Women of the United States, she travelled abroad to Germany, Brazil, Asia, the Middle East and several Western African nations. This got me very curious about the transnational experiences of African Americans. Upon returning from my summer 2015 research trip to Denmark, I was delighted and surprised to learn that I had been awarded a Project Support award from the Lois Roth Endowment. This allowed me to return to Denmark the following January to do additional research—including interviews with the widows and children of certain expatriates. The recognition and support represented by this Roth Endowment award was key in helping me earn a Fulbright award to return to Denmark in fall 2016. That semester, I was a visiting scholar at the University of Copenhagen’s Center for Transnational American Studies and gave a keynote address at a university symposium on “Denmark and African American Culture.” At that symposium, I met an earlier recipient of a Roth Endowment award—Heidi Durrow, author of the novel The Girl Who Fell From the Sky, was the other keynote speaker! Receiving the support of ASF and the Roth Endowment opened doors; my Fulbright year then gave me great opportunities to share my work. During the 2016-2017 academic year, I ended up presenting talks not only at other venues in Denmark, but also in South Africa and Austria… and this fall I will bring it back to the U.S., in an October talk at the conference of the Danish American Heritage Society in Schaumburg, Illinois. This text evolved from a written interview with Ethelene Whitmire conducted by Skyler Arndt-Briggs. Thanks to Drew Barnhart, our Media and Outreach Manager, for producing our August Portrait.